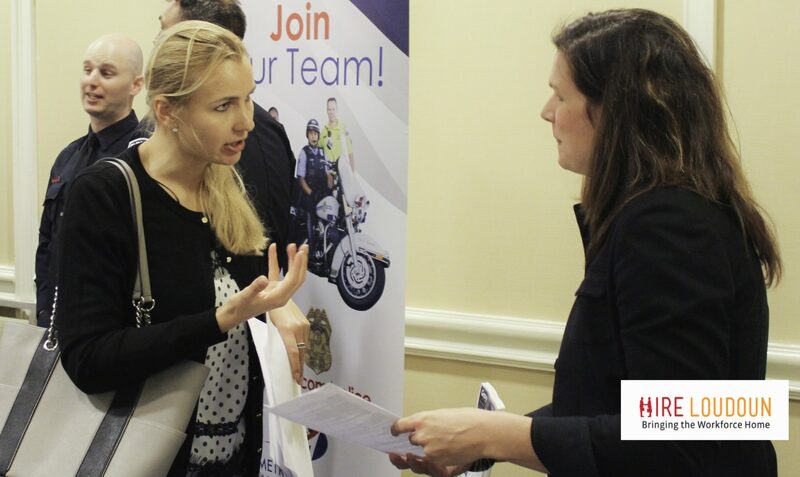 More than 40 Loudoun employers will be on hand to discuss full and part-time opportunities with job seekers at Loudoun Economic Development’s “Hire Loudoun” career fair on Thursday, September 20 from 10 a.m. to 2 p.m. at the Dulles Airport Marriott. “Keeping more of Loudoun’s workforce in Loudoun helps our workforce, our businesses and the Loudoun economy,” said Economic Development’s Executive Director Buddy Rizer. Many of Loudoun’s major employers will be at “Hire Loudoun” to talk with job-seekers whose work experience ranges from entry-level to mid-career. Participating companies include Northrop Grumman, Telos, PAE and Unanet. College students, veterans and parents returning to full or part-time employment are also encouraged to attend. There is no cost to participate in “Hire Loudoun,” but please register in advance at LoudounChamber.org/Hire-Loudoun. Mock Interviews for Hire Loudoun: 30-minute, one-on-one sessions to help job seekers get ready to speak with employers: September 18 from 1 – 3 p.m.
Know Before You Go: Navigating a Career Fair: Prepare for a successful experience at the Hire Loudoun event: September 19 from 10 a.m. – noon. 5-Minute Resume Clinic: Get advice on your resume with an employment specialist. Walk-ins are welcome. The sessions will be held at the Workforce Resource Center, 102 Heritage Way, N.E. in Leesburg. Register at www.loudoun.gov/wrcworkshops.